When you are a television personality, the wife of a Congressman, and a mom of 7, life can get pretty nuts. But when you are someone like Rachel Campos-Duffy, you take it all in stride and even go for more. To that end, Campos-Duffy is currently expecting her 8th child! Campos-Duffy believes women should still pursue their professional dreams even after they become moms. But she says, "don’t be afraid to slow down or jump off the train when your heart calls you to tend to things that last — love, marriage, babies, and happy kids." As she puts it: "You can always jump back on the train." We turn to Campos-Duffy when we have questions about the balancing act that is parenting. She gives compassionate, straight-forward advice, and given her background, you know she's a mom who has been there, done that when it comes to pretty much any parenting situation. So, we want to share Rachel Campos-Duffy with all of you... as part of our TODAY Tastemakers team. She'll be chiming in regularly to offer advice and answer questions. Do you have an issue you'd like her to tackle? Let us know on our Facebook page! 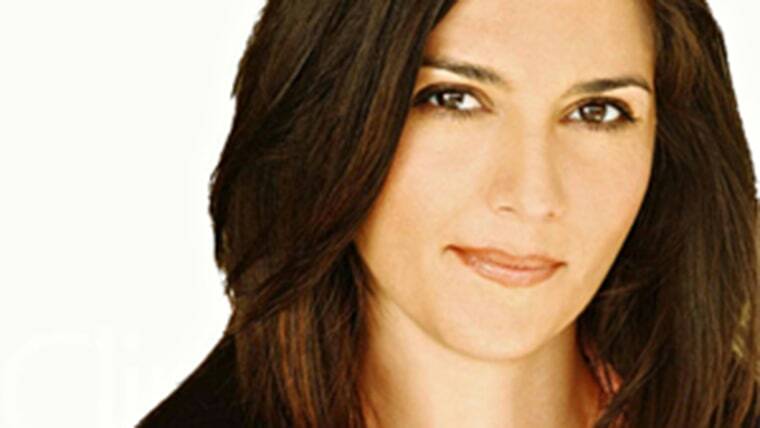 Rachel is an author and television personality specializing in political punditry, culture and parenting. She is a proud member of the Today Show Parenting Team. She is the national spokesperson for The LIBRE Initiative, a non-profit that educates and advocates for the economic empowerment of Hispanics. Rachel’s television credits are large and diverse. She got her television start on MTV’s iconic reality television show, The Real World. Currently, she is a recurring guest host on FOX News’ “Outnumbered” and on NBC’s Today Show where she does parenting and relationship segments. For 14 years she was a recurring guest host on ABC’s The View. She is a frequent on-camera commentator on parenting, politics, and culture for popular network and cable shows. Rachel writes for a wide range of publications including TodayParenting, CNN.com, FOX News Latino, and The Huffington Post, among others. Her book, published in 2009 by Penguin, is called “Stay Home, Stay Happy: 10 Secrets to Loving At-home Motherhood". In 2008 Rachel co-hosted the series “Speaking of Women’s Health” on the Lifetime Network with the legendary Florence Henderson. Rachel speaks fluent Spanish and has a degree in Economics from Arizona State University’s Honors Program. She has a Masters degree in International Affairs with an emphasis on Economic Development in Latin America from the University of California, San Diego. She lives in Wisconsin with her husband, Congressman Sean Duffy and her seven (soon to be eight!) awesome kids.